The Scentry Stones products by Just Scentsational are the humane and environmentally friendly ways to rid your backyard, flower and vegetable gardens, chicken coops, hives, and birdfeeders of unwanted pests. These stones are completely safe around humans, and will not cause hard to pets or wildlife. Place the appropriate all-natural absorbent stone, infused with the predator scent, in the impacted area. When the scent diffuses after a few months, simply recharge the stone with additional predator scent. 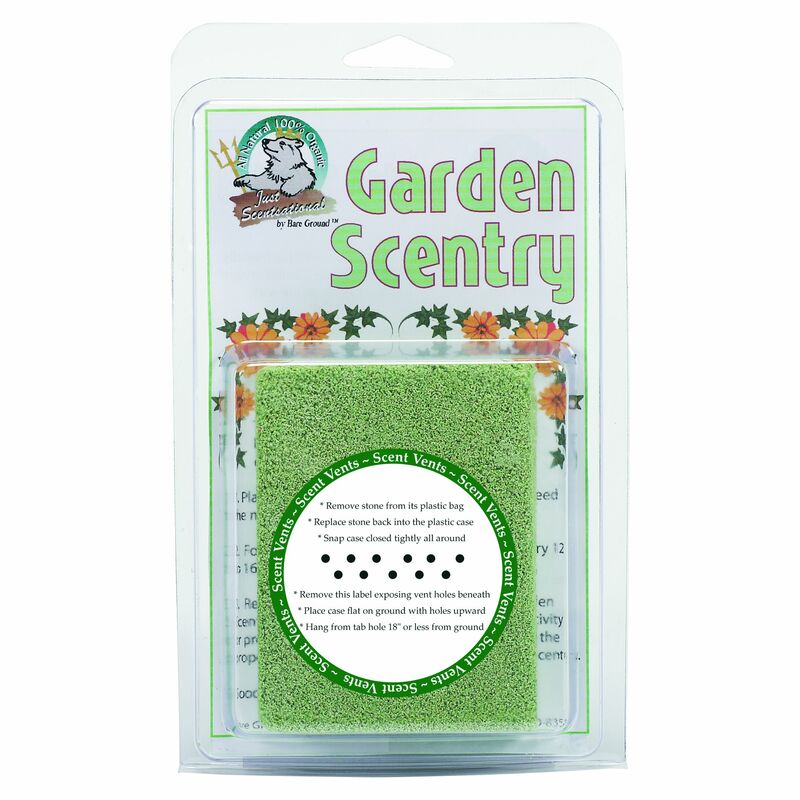 The Garden Scentry scented garden stone keeps away rabbits, deer, squirrels, gophers, chipmunks, mice and rodents. Place the scented Garden Scentry where you need the most protection from these pesky critters. The Garden Scentry is totally safe around humans and will not cause harm to pets or wildlife. For best results, in large gardens, place one every 12 to 16 feet apart. Most gardeners have trouble with deer eating their plants. 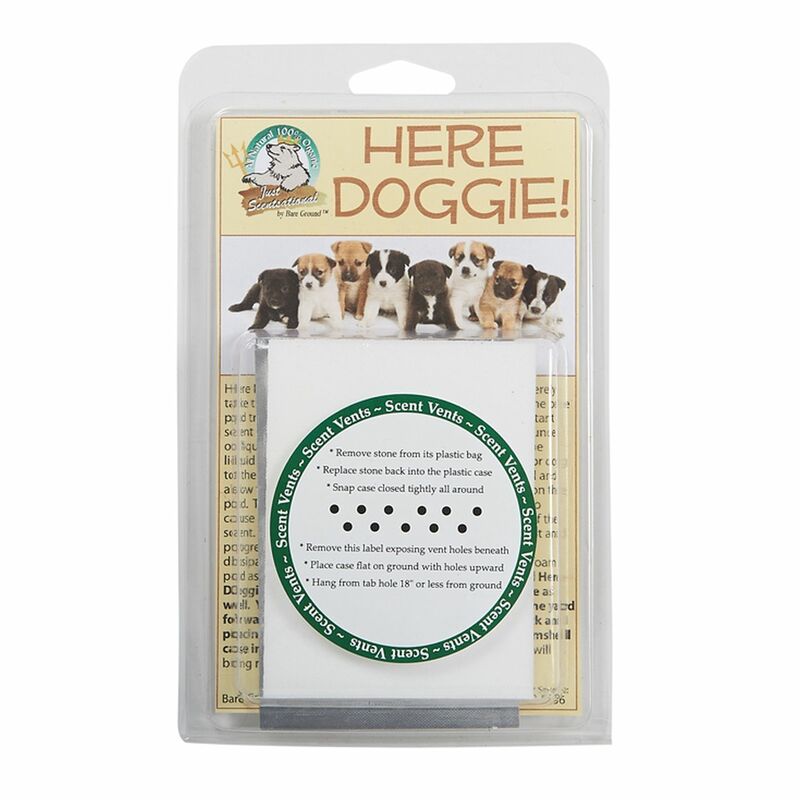 They also carry deer ticks, which can carry Lyme disease. 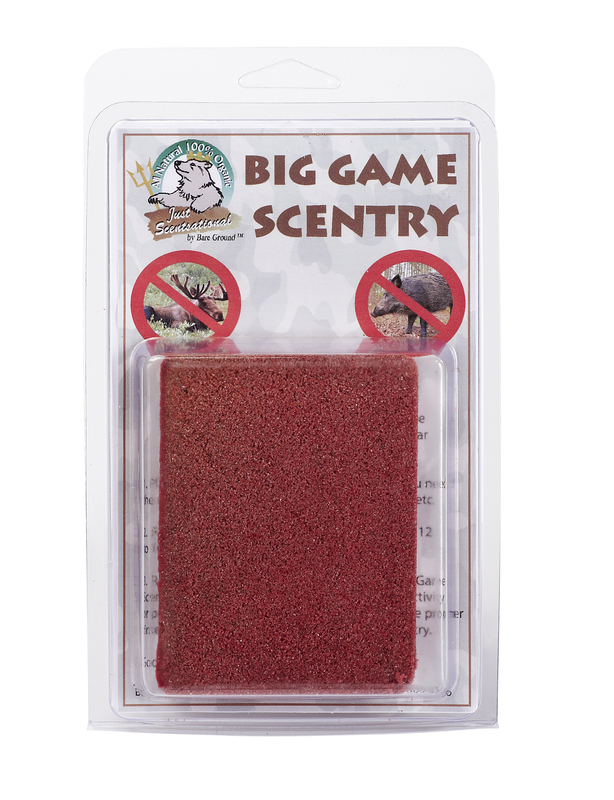 The Deer Scentry is made of an all-natural absorbent stone that has been infused with a predator scent that makes deer sense their natural enemy and flee. 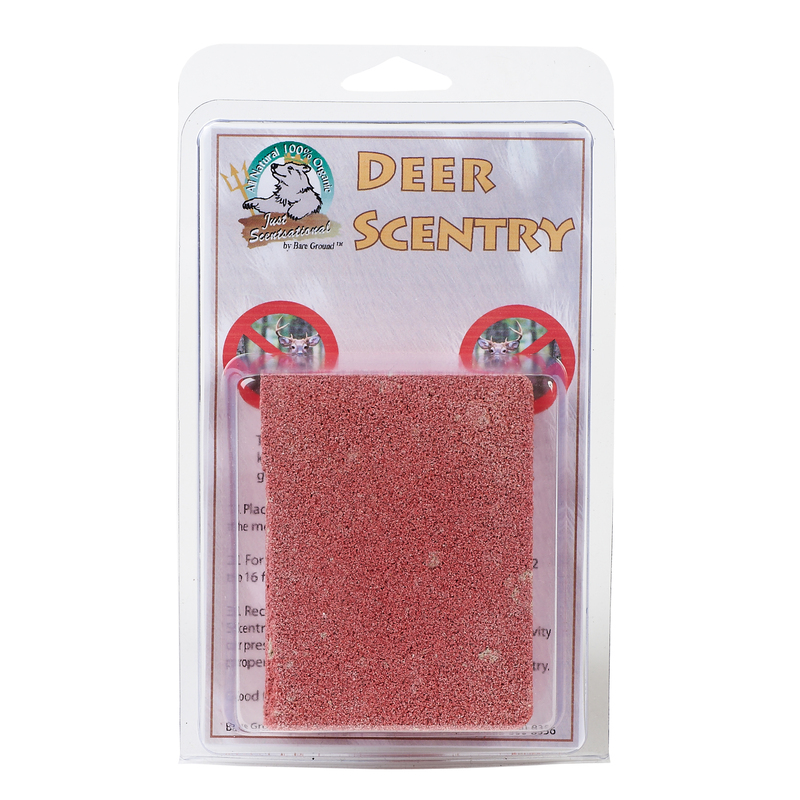 The Deer Scentry scented stone keeps away deer as well as other garden pests including rabbits, squirrels, rats, mice and groundhogs. Most people who raise backyard chickens have trouble with various animals, snakes, birds, and other pests raiding their coop. 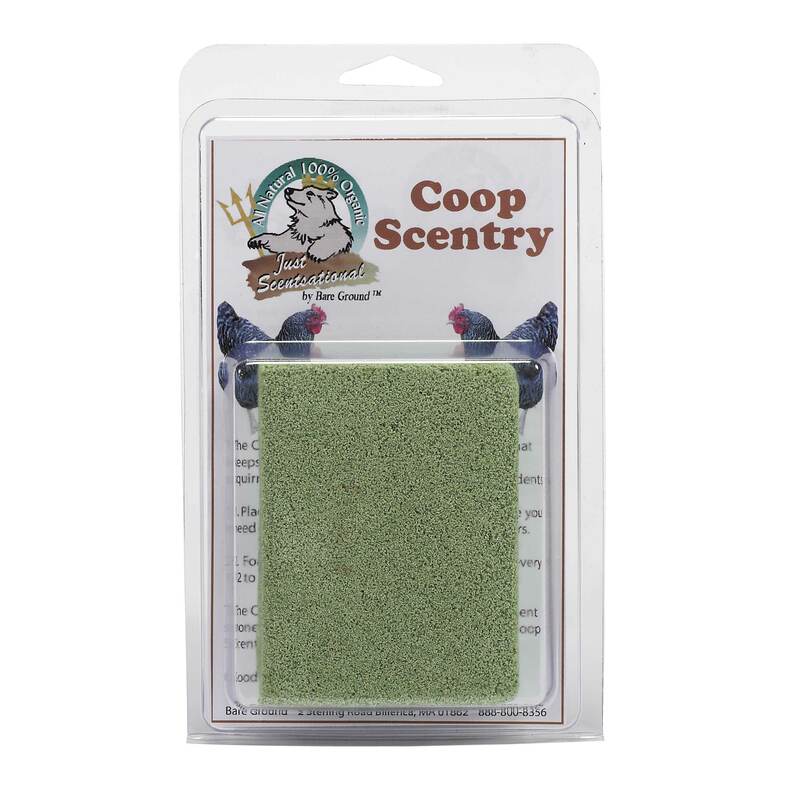 The Coop Scentry is a scented protection stone keeps away weasels, fox, skunks, rabbits, deer, squirrels, gophers, chipmunks, mice and other rodents. Most bird feeders have trouble with “robber” squirrels, chipmunk, deer and other pests that eat the seed before the birds have a chance. The Feeder Scentry is an all-natural organic absorbent stone that has been infused with a predator scent which sends an unmistakable signal to all unwanted feeder pests to “beware” and “stay away”. 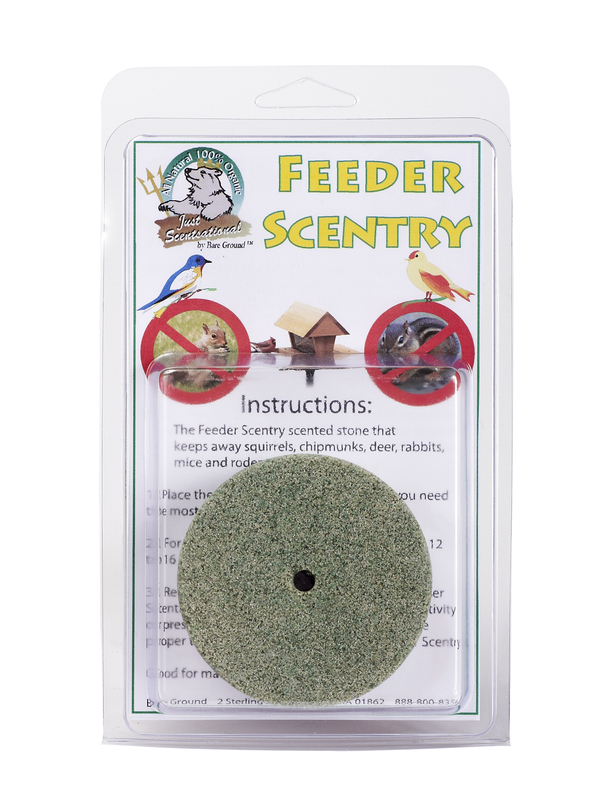 The Feeder Scentry kit includes a rough surface Velcro pad to attach the Feeder Scentry stone to the underside of the bird feeder or to the feeder pole. 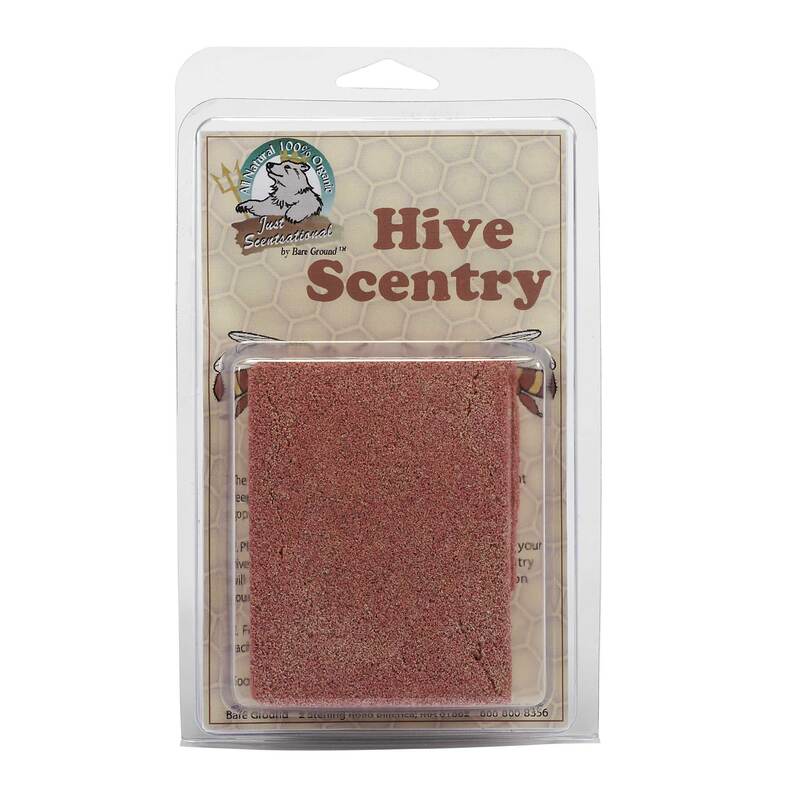 Hive Scentry by Just Scentsational protects your bee hive from mice, skunks and other hive pests using all-natural, humane and harmless predator scent. Will not disturb bees, but will send pests running for the hills. The coyote is a dangerous predator animal that has found a foothold in urban and suburban areas, and is dangerous to small pets including cats and small dogs. It also preys upon backyard chickens and other small farm animals including goats. 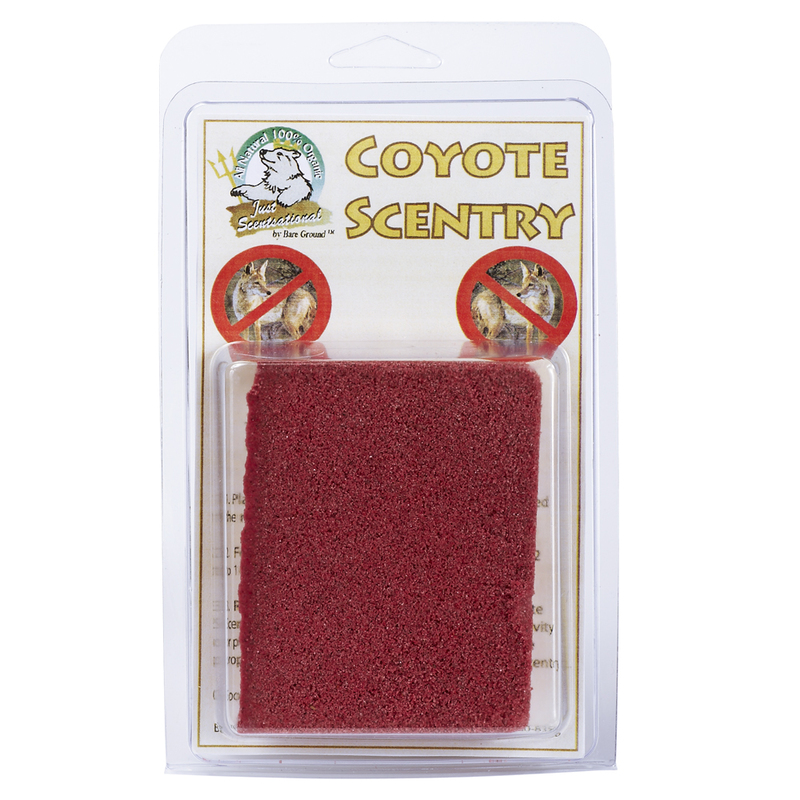 The Coyote Scentry by Just Scentsational is coated with the scent of the coyote’s mortal enemy…the wolf. In addition to trampling flower beds and vegetable gardens or just generally being a nuisance, big game can also be dangerous predators, hunting for backyard chickens, goats,and cats and small dogs. Just place a Big Game Scentry around your yard, chicken coops and pens, or your barn. Each Big Game Scentry is coated with the scent of the natural predator of the big game animal– the wolf. An animal that picks up the scent of a wolf will head for the hills to avoid becoming the hunted.